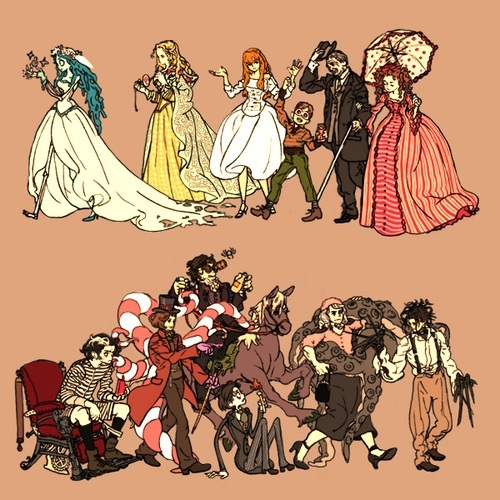 Tim 버튼, burton Characters. . Wallpaper and background images in the 팀 버튼 club tagged: tim burton johnny depp sweeney todd characters helena bonham carter edward scissorhands movie. This 팀 버튼 fan art might contain 애니메이션, 만화, and 만화책.